There’s no other place that says “Italian” quite like Tra di Noi in Malibu. Nestled right off the Pacific Coast Highway; this gem isn’t widely known because the locals like to keep this place a secret. Allow us to let you in on this big secret; it’s probably one of the best Italian restaurants in town, serving the most authentic and original recipes in Southern California! This is as close to Italy as you can get. When you’re in Tra di Noi, guests can enjoy a friendly and comfortable atmosphere and attentive service by a staff committed to making your dining experience a memorable one. Their cooking style is just as you would find in the Italian country, made fresh from the best ingredients. Each and every dish is prepared with close detail in the preparation and presentation. The interior is designed with a warm and romantic ambiance, making it the ideal spot for an evening out with your special someone or to grab an intimate dinner with family. Tra di Noi offers pastas, risottos and entrees at moderate prices. 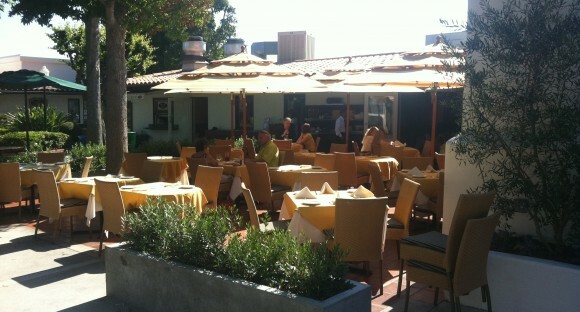 Their dining room is modern and comfortable with a beautiful outdoor patio. Be sure to head to Tra di Noi for your next night out to eat. Visit them at 3835 Cross Creek Road #8A, Malibu, CA 90265, or online at, www.tradinoimalibu.com.